Does Copyright Law Apply to Construction Blueprints? The CEO might say, “Hold on, copyright law protects books.” And he or she would be correct; books are protected. However, so also are articles, computer software, recordings of music, videos, and a host of other tangible media — including architectural drawings and blueprints. To erase any doubt on the issue, Congress passed the Architectural Works Copyright Protection Act (the Act) in 1990. The law explicitly provides copyright protection to original designs of architecture in virtually any form, including architectural plans, drawings, and the buildings themselves. Under the Act, a builder, property owner, architect and others may be liable for copyright infringement if a building or its plans infringe those of another, regardless of whether the plans themselves were copied. Just as one author cannot claim there has been no infringement of another’s article based on the fact that the author made some changes to the original, an architect or engineer (and the company that hires them) cannot avoid liability for copyright infringement by making changes to the blueprints. You may think, “It can’t be infringement. Their building has four floors; ours has five.” The court won’t accept that argument. Here again, many misunderstand the protections afforded by copyright law. For example, if you purchase a work of art at an auction house, that purchase does not allow you to make copies of the work, even for your own use. The copyright to the work remains with the creator, unless it is specifically conveyed with the artwork itself. The same rule applies with blueprints and plans. The original designer holds the copyright. In any lawsuit, a plaintiff must ordinarily prove damages. A Milwaukee business that copies a building design from a structure in Denver might argue that even if one assumes that an infringement occurred, what monetary harm was done to the original designer of the Denver building? Those in charge of copyright law have already thought of that one. 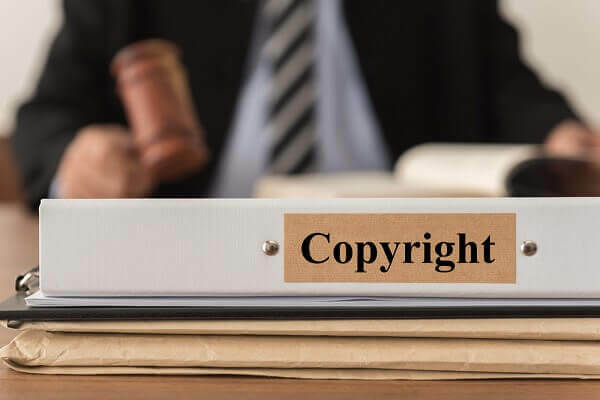 Under certain circumstances, the copyright owner may be entitled to statutory damages, attorneys’ fees, and court costs from the person or business that infringes the copyright. Within the copyright setting, the owner does not always have to establish specific damages; statutory damages up to $150,000.00 can be awarded for each infringement. In addition to statutory damages, the court can also award significant attorney’s fees and court costs. In other words, the cards are stacked against the infringer. Copyright litigation involves complex issues, specific and technical defenses, and can entail significant damage awards. It is important to retain experienced legal counsel who is comfortable and confident in that specter of the commercial world. The Kerkman Wagner & Dunn, a Milwaukee business litigation firm with more than 50 years of combined legal experience representing business owners in Wisconsin, is ready to assist you. Our firm has big firm talent and provides small firm attention. Call us at 414–278–7000 or complete our online contact form.